Do you have an embroidery module, but are unsure how to use it? Or are you considering buying one? Then this class is for you! 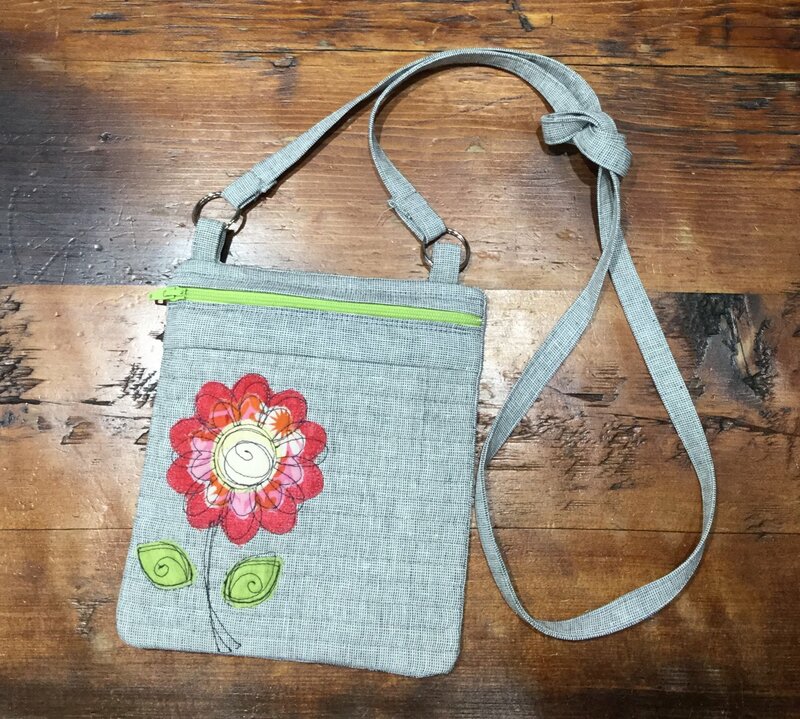 This adorable little crossbody bag is made almost entirely in the hoop - including the zipper and lining! Wait until you see how easy it is! It can be made in four different sizes, and is the perfect little bag for your wallet, cellphone and keys. Once you see how easy it is to make, you will want to make a dozen of them for gifts. We do have a few embroidery modules available for student in the class to use. Call the shop to sign up to use one. This class is limited to six people, so sign up early as it is guaranteed to fill up quickly!